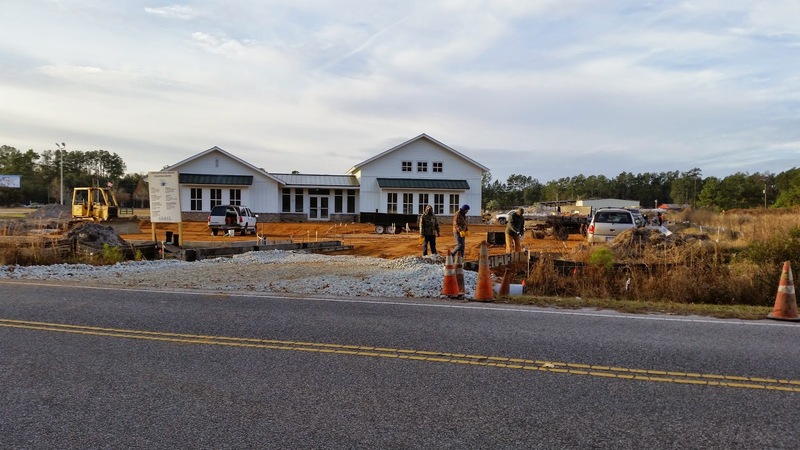 Lowcountry AHEC’s permanent home at 87 Academy Road in Walterboro is scheduled to be completed sooner than anticipated at the end of January. Walterboro is the center of the Lowcountry AHEC service area and is a convenient location for health professionals and students to meet. In addition to housing the staff, the building will have a 1,000 square foot classroom/training room and a conference room. Both will have videoconferencing capabilities. Lowcountry AHEC is excited as the long-awaited project nears completion and looks forward to continuing to serve the communities in its 12-county region. The South Carolina AHEC is pleased to announce that applications are currently being accepted from primary care physicians (Family Medicine, Pediatrics, Internal Medicine and Ob/Gyn) and advanced practice professionals (nurse midwives, nurse practitioners and physician assistants) who contract for a period of four years to practice in rural or underserved areas of South Carolina. Awards for physicians will vary, with the minimum award being $60,000 and the maximum award being $100,000, depending upon the type of practice setting and the population of the county. Awards for advanced practice professionals will vary, with the minimum award being $30,000 and the maximum award being $50,000, depending upon the type of practice setting and the population of the county. Provide $25,000 per year for up to four years to qualified physicians practicing in counties with a population of less than 50,000. Provide $15,000 per year for up to four years to qualified physicians who work in rural areas of other counties (non-urbanized) as defined by the U.S. Census Bureau’s 2010 Census or who work in federally qualified health centers in urban areas. Provide $12,500 per year for up to four years to advanced practice registered nurses (APRN) and physician assistants (PA) practicing in counties with a population of less than 50,000. Provide $7,500 per year for up to four years to APRNs and PAs who work in rural areas of other counties (non-urbanized) as defined by the U.S. Census Bureau’s 2010 Census or who work in federally qualified health centers in urban areas. Clinicians (physicians and advanced practice providers) working in state prisons may qualify. Half-time option (20 hours per week) for half of the full-time (40 hours per week) funding amount will be considered. Applications for incentive grants for the upcoming year that begins on July 1 will be accepted until March 1. 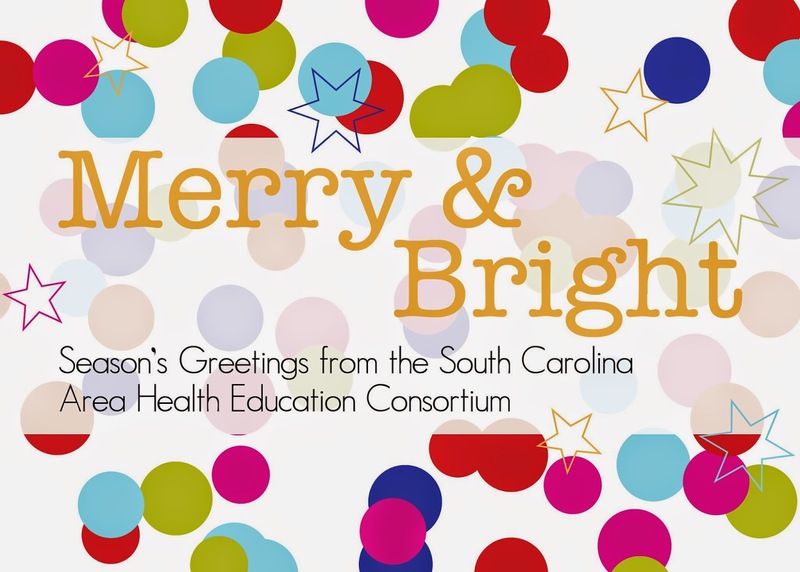 For more information, please visit the South Carolina AHEC webpage at http://www.scahec.net/incentivegrant.html. Lowcountry AHEC works diligently to increase the number and diversity of students entering the health professions pipeline. The Lowcountry AHEC Summer Internship Program serves as a vehicle for accomplishing this goal by offering career exploration opportunities for graduating high school seniors and undergraduate students. 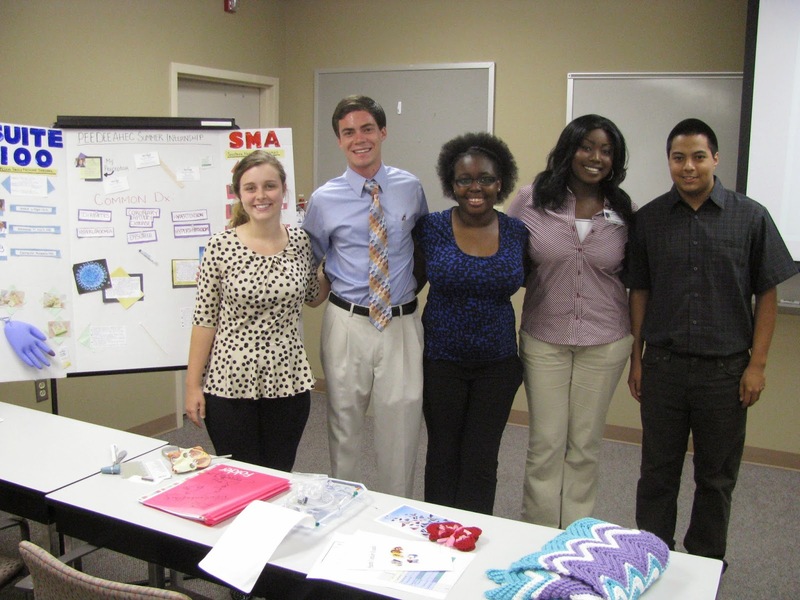 Selected students are placed in Lowcountry healthcare facilities for four weeks in July. Students are provided opportunities to observe a healthcare setting and develop their personal and professional skills through special student sessions. Students who successfully complete the program are awarded a $500 stipend. Lowcountry AHEC has achieved great success through this program. 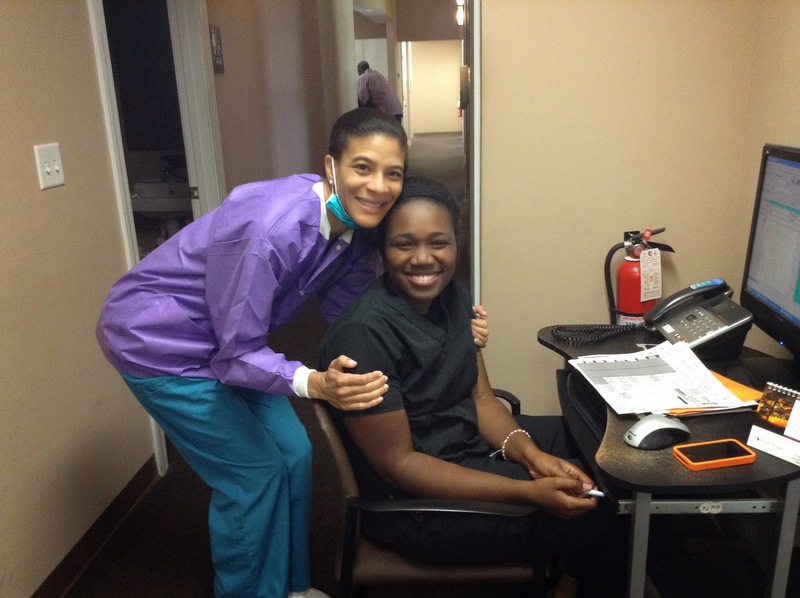 Lowcountry AHEC Health Careers Program Coordinator Natasha Chatman shares, “Our interns are awesome, and they really impress the preceptors at our clinical sites.” Kristin Blair, a senior at South Carolina State University, served as an intern with Edisto Dental Associates (EDA) in Orangeburg last summer. Due to her excellent performance, EDA convinced Ms. Blair to continue her experience beyond the program as a hired employee. Lowcountry AHEC proudly reports that she is only one example of the quality students who enter the healthcare pipeline through Lowcountry AHEC programs. Another valuable exploration experience is the Health Career Exploration Symposium. This Lowcountry AHEC one-day workshop provides high school students with an opportunity to explore health careers through learning activities. Applications for both programs will be available after January 15. To find out more information and obtain applications, visit the Lowcountry AHEC website or contact Natasha Chatman at chatmann@lcahec.com. 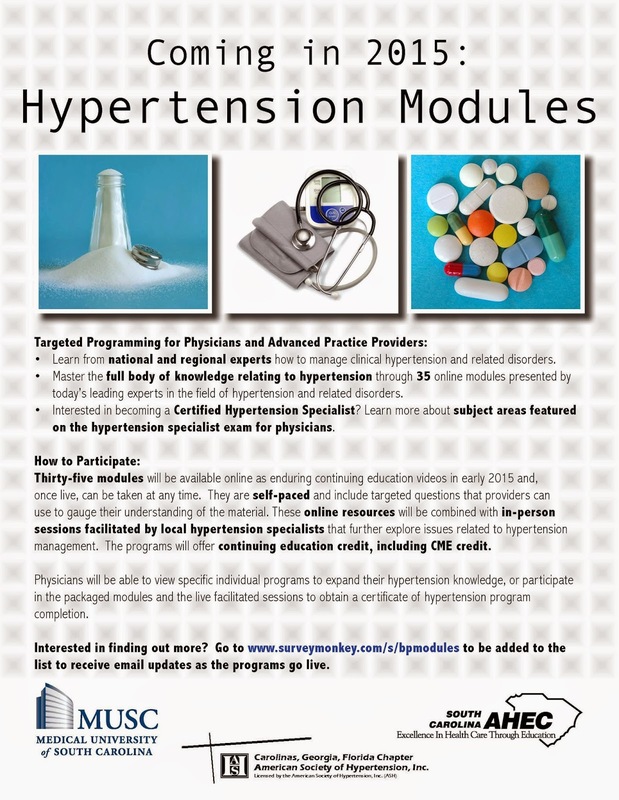 Specially targeted hypertension modules will be available as enduring continuing education videos in early 2015. To learn more, check out the flyer or sign up for email updates. The 34th Annual South Carolina School Nurse Conference will be January 30-31 at the Embassy Suites, Charleston Area Convention Center in North Charleston. This year’s theme is “Waves of Change – Oceans of Opportunities” and over 400 school nurses are expected to attend from across the state of South Carolina to celebrate school nursing and improve the ability to protect and promote health, safety, and wellbeing of school children in the state. The conference is approved for eight total contact hours of nursing credit and includes presentations on smart snacks, autism spectrum disorders, appropriate iPad apps for the school setting, effective communication, grief counseling, and many more. Awards recognizing outstanding school health efforts will be presented at the awards luncheon on January 31. For more information please visit http://lcahec.com/upcoming-classes/. Upstate AHEC will be partnering with Hospice Care of South Carolina to offer the End of Life Nursing Education Course (ELNEC) Core Curriculum on January 13-14 at AnMed Health Medical Center Campus. The ELNEC Project is a national end-of-life educational program administered by City of Hope National Medical Center and the American Association of Colleges of Nursing (AACN) designed to enhance palliative care in nursing. The ELNEC Project was originally funded by a grant from the Robert Wood Johnson Foundation with additional support from funding organizations (the National Cancer Institute, Aetna Foundation, Archstone Foundation, California HealthCare Foundation and the Department of Veterans Affairs). Further information about the ELNEC Project can be found at www.aacn.nche.edu/ELNEC. Lowcountry AHEC is offering a two-day Certified Post Anesthesia Nurse/Certified Ambulatory Perianesthesia Nurse (CPAN/CAPA) Exam Prep and Review Course on February 7-8 designed to prepare perianesthesia nurses to take the CAPA/CPAN exam and to demonstrate clinical competence and knowledge of practice standards. This course is based on the American Society of PeriAnesthesia Nurses Standards and has been approved for 16 hours of continuing education. The course will be offered at Bon Secours St. Francis Hospital in Charleston. For more information or to register, visit to www.lcahec.com. Upstate AHEC, in collaboration with the Physical Therapist Assistant Program at Greenville Technical College, is offering the American Physical Therapy Association (APTA) Clinical Instructor Education and Credentialing Program on February 20-21, 2015 at Greenville Technical College in Greenville. This program is designed for clinical instructors, center coordinators of clinical education, and academic coordinators of clinical education interested in or involved with clinical education. The program is recognized by APTA as a Clinical Instructor Education and Credentialing Program. Outcomes of the credentialing program are measured through an assessment center for physical therapy providers. Participants apply information from the program in six simulated situations. Upon receiving a passing score in each station in the assessment center, candidates will receive a credentialed clinical instructor certificate from APTA. The instructors, Barbara Wilson, PT, DPT, and Kristen Mason, PT, DPT, are both credentialed clinical trainers recognized by APTA. To register for this course or for more information go to www.UpstateAHEC.org or call Upstate AHEC Continuing Education Coordinator Bennie Pettit at 864-349-1162. To view a program, visit ahecu.org. WASHINGTON, Oct. 24, 2014 /PRNewswire-USNewswire/ -- The American Academy of Family Physicians (AAFP) has named Oscar F. Lovelace, Jr., MD, the national 2015 Family Physician of the Year at its annual Assembly. The award honors one outstanding American family physician who provides patients with compassionate, comprehensive care, and serves as a role model in his or her community, to other health professionals, and to residents and medical students. Born and raised in Columbia, South Carolina, Lovelace has been a practicing family physician for more than 26 years. In 1988, he founded Lovelace Family Medicine in his grandparents' hometown of Prosperity, South Carolina, a small, rural farming community in Newberry County. Currently the practice employs 38 staff, including three board certified family physicians, 11 nurses and three nurse practitioners. Lovelace Family Medicine provides 8,000 patients with the full scope of family medicine services for patients of all ages, from obstetrics to geriatrics, as well as office-based and hospital care. Practice services include comprehensive wellness and preventive care, prenatal care, acute care, chronic disease management, weight management counseling, a full service laboratory and corporate wellness programs. Lovelace and his colleagues have hosted more than 200 students and residents from all areas of the country for a four-week elective during which they encounter the challenges and rewards of practicing rural family medicine. The goal of this program is to increase interest in practicing in an underserved area. Many of Lovelace's former students and physician colleagues have served on medical missions, both at home and abroad. Lovelace is committed to ensuring that all people, especially the underserved, have access to high quality primary care in a patient-centered medical home. During Lovelace's second year of solo practice, Newberry County's only OB-GYN died. This left Lovelace as the only physician in three contiguous rural counties practicing obstetrics, and he delivered more than 220 babies. Dr. Lovelace has been a preceptor with South Carolina AHEC for many years. Because of his outstanding involvement, Dr. Lovelace was an inaugural member of the South Carolina AHEC Institute for Primary Care (IPC), which began in 2012. 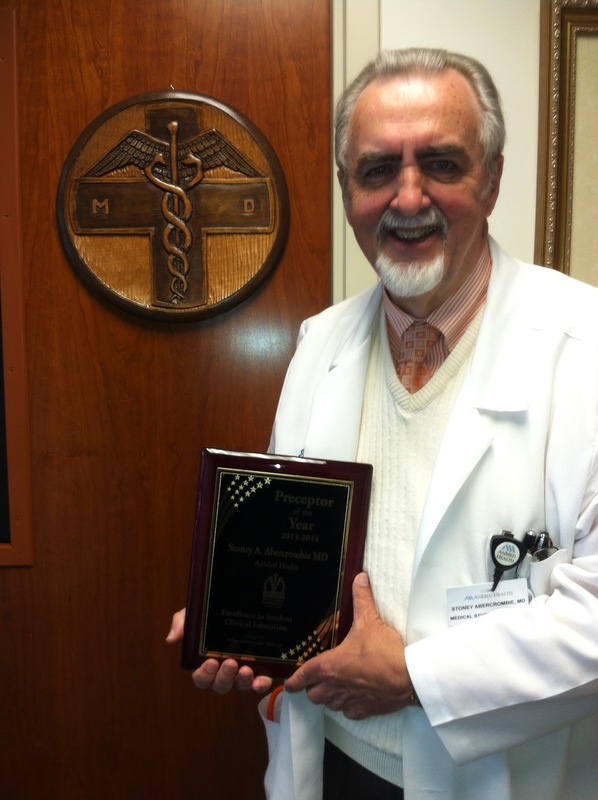 He remains active in the program and Lovelace Family Medicine is one of the most sought after sites for rotation. As an IPC Preceptor, Dr. Lovelace shared his model for an interprofessional community-based weight management program that has become the basis for an MUSC/SC AHEC telemedicine weight management project, Wellness Connect, which began in April 2014. In addition, he and his wife also have hosted IPC social events for medical, advanced practice nursing, and PA students interested in joining the Institute. Over the years, many practitioners have been attracted to the practice established by Dr. Lovelace in Prosperity. Six physicians and one nurse practitioner have received funding from the SC AHEC Rural Physician Program to practice at Lovelace Family Medicine. South Carolina AHEC congratulates Dr. Lovelace on this prestigious recognition of he many years of outstanding work! To find out more about Dr. Lovelace, watch his speech from the assembly, and view his introduction video, visit http://www.aafp.org/events/assembly/about/2014-assembly-highlights.html. The McLeod Family Medicine Residency Program, part of the South Carolina Family Medicine Residency Training Programs, is taking a comprehensive approach to preventing childhood obesity through a McLeod Foundation grant awarded in the amount of $5,275 for the proposal “Empowering Positive Parenting in Early Childhood.” The proposal was submitted by residents Tareq Haidary, M.D. ; Joseph Hoyle, M.D. ; and faculty member Benjamin Elder, M.D. The project focuses on the implementation of a proven early childhood literacy practice-based intervention, Reach Out and Read, along with additional innovative components that improve the delivery of clinical preventive services, such as the prevention of dental carries. Give each child a developmentally and culturally appropriate book as part of each well visit. Provide appropriate anticipatory guidance about how best to enjoy the book with the child. Emphasize that reading aloud stimulates language development. The residents chose this program to be the focus of obesity prevention efforts at the Family Medicine Center for the next five years, with a vision for adding additional components and supporting program alumni and regional family medicine practices to implement the program. The residents developed an acronym for the program, inspired by the title, REACH: Read out loud with child Every day, daily physical Activity, choose Clinical preventive services, and discuss the five Healthy developmental domains for school preparedness. Dr. Hoyle explains, “preventing childhood obesity requires a comprehensive, collaborative approach with parents and community organizations. We see this challenge as an opportunity for family physicians to provide leadership on a leading community health indicator. In my opinion, our faculty’s stability and commitment to the care of children will be the keys to the long-term success of this approach.” The program will be overseen by a leadership team that includes representatives from practitioners, staff, administration, community literacy organizations, and families served. The Family Medicine Residency Program is already exploring additional sites for program dissemination and welcomes anyone interested in joining. To find out more information, please contact Dr. Haidary at thaidary@mcleodhealth.org. To address the questions and dialogue surrounding the ongoing Ebola outbreak in Africa and care of patients infected with the virus, MUSC has created Ebola 101 for providers. The video, presented by Dr. Cassandra Salgado from the Infectious Diseases Division, covers information about the virus as well as current treatment protocols. Click below to view the videos. High school and college students in the Pee Dee region interested in applying for the Summer Internship Program for 2015 can get an early start this fall. The Summer Internship Program application will open in November instead of in February, as it has in the past. “Our hope is that more students will apply for this wonderful opportunity and that this change will help us refine the way we take selected students through all the required steps to get started with their internships,” says Health Careers Program Coordinator Larrissa Clavon. More applicants applied for the 2014 Summer Internship Program than in 2013. Application numbers for 2015 are expected to be even higher with recruiting efforts being made on the regional high school and college levels, including South Carolina AHEC’s Bench2Bedside Program, and through work with community organizations such as the Workforce Investment Act Office of Darlington County School District. The 2015 application can be downloaded online at https://www.peedeeahec.net/hcp/hcpforms.aspx. The application process is competitive and students seriously considering health professions are encouraged to apply. 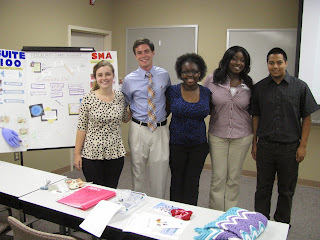 The Summer Internship Program is a four to six week educational and work experience designed to help underrepresented minorities and disadvantaged high school and college students explore health professions in a healthcare facility. For more information contact Larrissa Clavon, Program Coordinator at lclavon@mcleodhealth.org.